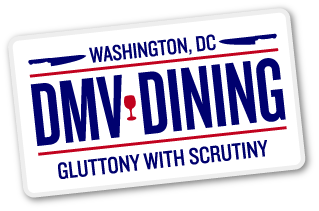 About a month ago, a few of our friends thought it would be a good idea to have some sort of cooking contest with us presiding as the judges. 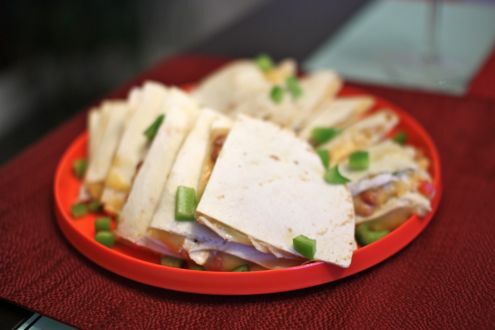 When it came down to deciding what type of food the contestants should cook, a decision was quickly reached: quesadillas. A little backstory: one of the contestants, Rajiv, was my roommate during my junior year of college. He was pretty good about cooking at home, but his favorite dinner to make was chicken quesadillas. Turns out that Jim, our other contestant, claimed that his quesadilla recipe could rival that of Rajiv’s. A battle was soon proclaimed. After a time and place was arranged, the cookoff was on! Rachel and I decided that we would be judging Rajiv and Jim’s quesadillas under three factors: taste , texture, and presentation. A victor would be named based on these categories with a scale from one to four stars. And while I should note that I have obviously eaten Rajiv’s quesadillas in the past, the final result would be unbiased as Rachel and I would have to reach a unanimous decision before naming the winner. Rajiv prepared all his ingredients, for the exception of the shredded cheese, in a stew. 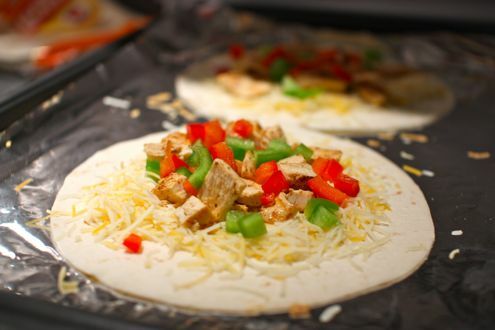 Chicken, tomatoes, peppers, onions and onions were all cooked together before being placed atop a tortilla. Cheese was then sprinkled on top of the mixture, a second tortilla was added on top, and then the entire product was thrown on a frying pan. Jim went more with the traditional route by cooking his ingredients separately. 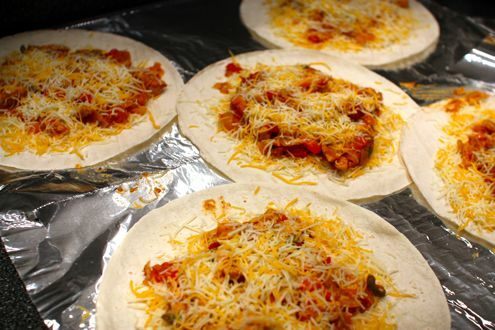 He also used a smaller tortilla which made handling the quesadillas a lot easier than Rajiv’s, as well as it being a more reasonable portion size. 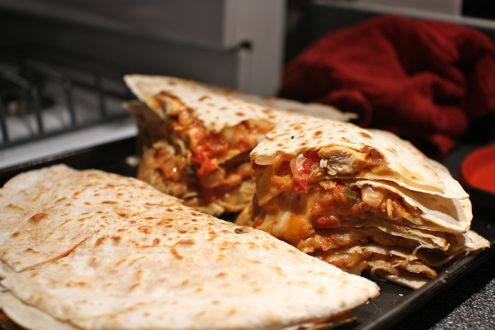 In regards to Rajiv’s preparation, both Rachel and I agreed that some of the spices added, as well as the stewed tomatoes, really brought out the flavor and made for a tasty quesadilla. On the other hand, while Jim used a more traditional cooking regimen, we felt that the flavors were more on the blander side with nothing really piquing our interest. Rajiv’s preparation made the tortillas soggy as soon as they were prepared. The stew mixture might have helped in regards to taste, but these were limp as soon as they were brought to the table. Meanwhile, Jim’s quesadillas were adequately crispy and had a nice crunch to them. No contest in this category. 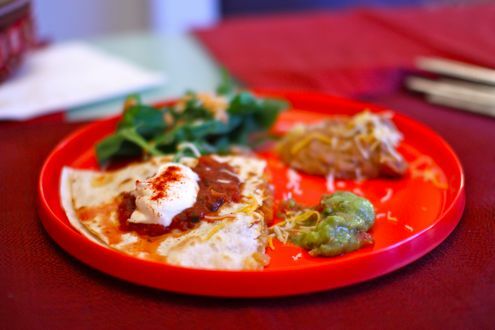 Rajiv’s quesadilla was presented with a dollop of sour cream and salsa on top, along with a side of arugula salad, refried beans, and guacamole. I would have preferred the condiments on the side myself, but otherwise, it was a well-presented dish. Unfortunately, the same cannot be said for Jim’s arrangement. 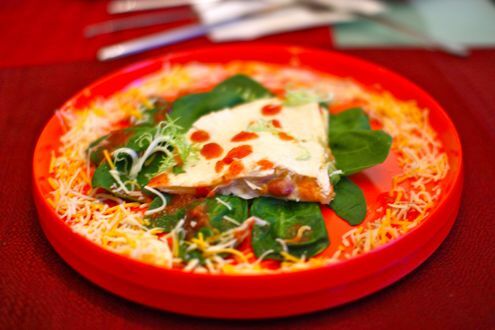 His quesadilla (dotted with salsa) was placed in the center of the plate on top of a bed of arugula, which was then surrounded by a border of shredded cheese. It was way over the top and really detracted from the actual dish. We’re going to have to give the nod to Rajiv. His quesadillas simply tasted better, and despite lacking the requisite crispiness, the overall flavor proved to be enough to win the battle. While Jim’s were crunchier albeit blander, it was his presentation that ultimately did him in. Both contestants have areas for improvement, but for our first-ever cook-off, it was a bona fide success. I am the winner…!!! BOOOYYAAA!!! I want a quesadilla now.